Lisa will oversee the Marketing and Category Management teams for both Crown and Vitronic brands based out of the IMAGEN Brands headquarters in Mason, OH. Woodridge, IL – April 15, 2019: Orbus Exhibit & Display Group®, one of North America’s leading wholesale suppliers and manufacturers of display, exhibit, graphic and event solutions is excited to share that it has been named one of “The 5 Best Places to Work in the Meetings Industry for 2019” by Meetings & Conventions Magazine (M&C). The M&C Best Places to Work list, now in its eighth year, selects companies in the meetings and events industry based on their online ratings from well-known and respected sources, inclusion in local publications and suggestions from meeting industry representatives. Orbus was honored with its’ inclusion based on the impressive company culture, competitive benefits and devotion to giving back via the social committee fundraising efforts. A complete list of Orbus’ historical and current Awards & Accolades can be found here. Orbus Exhibit & Display Group is a market-leading, privately owned group of companies that specialize in the manufacture and trade only supply of portable modular and custom modular exhibit and display products, graphics and solutions. Companies and brands within the group include The Exhibitors’ Handbook®, The Promo Handbook™, Nimlok®, and SignPro Systems®. Orbus’ supply and manufacturing facilities reside in Woodridge, IL and Las Vegas, NV. For more information, visit www.orbus.com. Braintree, Massachusetts, April 2019 HUB Promotional Group’s HUB Pen Company is pleased to announce the addition of Gashia Hollingsworth to their award winning customer service team. She will be working with customers in California and Nevada as well as supporting others in her team. Gashia came to HUB in November 2018 with over 12 years of experience of customer account management. “You have to be on point when handling people’s accounts,” Gashia says. “It’s a matter of knowing what needs to happen and communicating with the right people.” She truly loves people and enjoys working with her team to get her customers’ orders out. About HUB Pen: Boston has been described as the “Hub of the Universe” and in the HUB Pen story the same holds true. From Frank and Rita Fleming’s humble beginnings in Boston in 1954 to the 100 million pen annual operations of today, HUB Pen has grown to serve an ever -increasing national and international market. Our customers have rated us “A+” on the SAGE rating system and 5 out of 5 stars on ESP, and we have been voted ASI’s Distributor Choice for pens 4 years running. For more information on HUB Pen, visit our website at www.hubpen.com or call customer service at 800-388-2323. About HUB Promotional Group: HUB Promotional Group, The Better Impressions People, is home to Hub Pen Company, Beacon Promotions, BEST Promotions USA, Cooler Graphics, Debco, BCG Creations, Origaudio and HandStands. We provide the BEST in promotional products all with award winning quality and customer service. Please visit hubpromotionalgroup.com for more information. GLENWOOD, MN – April 2, 2019 – American Solutions for Business recently donated three desktop computers and six monitors to help create another work station for an additional office and provide backup equipment for future growth or technical issues. "This helps us out tremendously," explained Lauren Wensmann, LAHS Shelter Manager. "We can put that financial aspect into other uses for the shelter and the animals." The shelter employs 10 people and has several shelter volunteers who donate their time ranging from once a week to daily. Lauren explained that volunteers are always welcome and that the shelter hosts an orientation every second Monday of each month at 5:30 to review the history of the shelter, their mission and how volunteers can help. "Everyone from the Lakes Area Humane Society would like to give ASB a huge thank you for thinking of us and being so generous. It is greatly appreciated and helps us be able to keep helping the community around us," said Lauren. To learn more about the Lakes Area Humane Society and how you can help donate or volunteer, visit www.lakesareahumanesociety.org . St. Louis, MO – April 2, 2019 – Ariel Premium is proud to announce the opening of its new West Coast production and service facility. Designed to better serve distributors in the western half of the United States, the new facility offers a faster and more cost-effective FOB San Diego shipping point. Best of all, the facility maintains millions of pieces of inventory on some of our most popular items, offers our top imprinting processes and includes a complete Customer Care team. “This is a great opportunity for Ariel to better serve our distributors out west with faster service and delivery, all with the same quality and service they know us for,” says Yuhling Lu, president of Ariel. “Distributors on the east coast can also take advantage of this facility when they have to deliver to the west,” she adds. Ariel Premium Supply is a leading Top 40 Supplier to the promotional products industry. Established in 1993, Ariel offers a collection of technology, home, health, drinkware, auto and travel products to the corporate marketplace, serving both the U.S. and Canada. Ariel is a Minority Business Enterprise and is an active participant of the PromoStandards Alliance. Additional information may be found at www.ArielPremium.com. 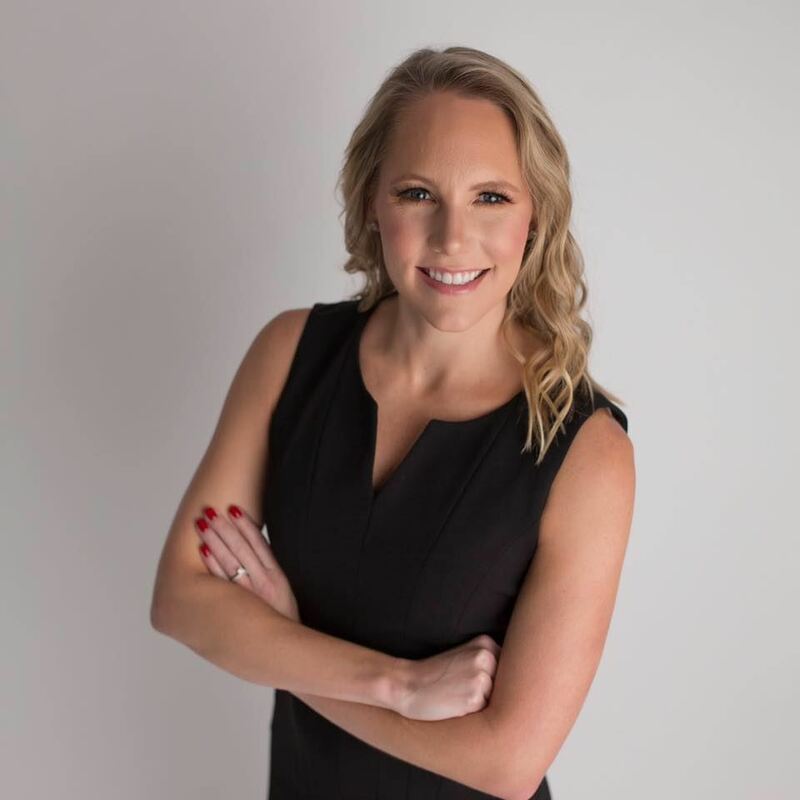 Camarillo, CA (March 14, 2019) –The Specialty Advertising Association of California (SAAC) is pleased to announce Jennifer Bingham will serve as SAAC’s Executive Director. Bingham is an industry professional with a strong background in marketing and program development. During her tenure at SAGE, Bingham worked closely with industry professionals and regional associations to develop and optimize programs and events including large scale tradeshows. Bingham will work with the SAAC Board and volunteers to bring meaningful programs and events to SAAC members while focusing forward strategically on association growth and relevance. Under the stewardship of the SAAC Board of Directors, Bingham will work to support the mission of the association while being supported by additional PPAI staff and resources, as outlined in the recently announced management agreement between PPAI and SAAC. Bingham was introduced to members at the SAAC Installation Dinner on March 7 in Pasadena and is looking forward to meeting the rest of the membership in the coming months. The Specialty Advertising Association of California (SAAC) is composed largely of promotional products professionals located in the Southern California region. For over 30 years, SAAC has supported the promotional products industry through programs and services designed to enhance the professional lives of our members. The membership includes suppliers, distributors, multi-line representatives and business service companies. The Specialty Advertising Association of California is a 501 (c)(6) non-profit organization. Camarillo, CA (February 21, 2019) – Specialty Advertising Association of California (SAAC) has selected Promotional Products Association International (PPAI; ppai.org), the world’s largest not-for-profit trade association serving more than 15,700 corporate members of the $23.3 billion promotional products industry, to provide the Association with management services. SAAC will continue to work under the stewardship of its Board of Directors and will maintain autonomy and a 501(c)(6) not-for-profit status as a professional trade association. A dedicated PPAI representative will serve as SAAC’s executive director and will be supported by additional staff resources. SAAC and PPAI operate under separate missions designed to serve the promotional products industry at the international and regional levels, respectively. This shared vision and natural alignment strengthens the presence of SAAC in the region, while creating more opportunities for SAAC and PPAI members. PPAI will begin work with SAAC and its Board immediately to bring the news of this partnership to SAAC members. 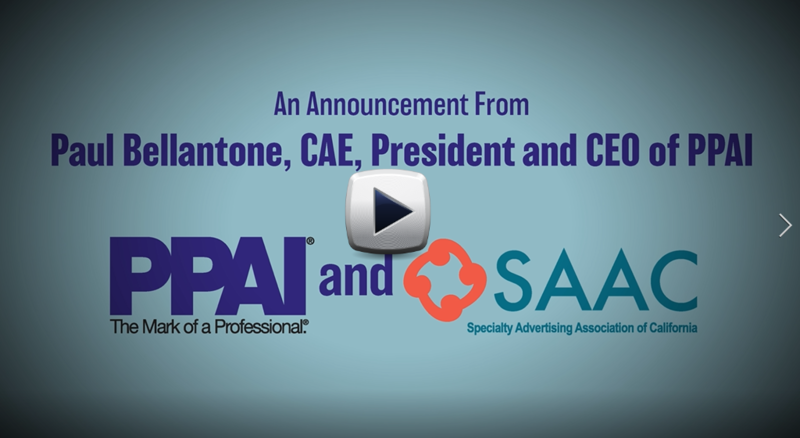 SAAC members are invited to join both the SAAC Board and PPAI leadership at the board installation dinner on March 7, 2019 at the Café Santorini in Old Town Pasadena. Please see the SAAC website for details. Founded in 1903, the Promotional Products Association International (PPAI; ppai.org) is the world’s largest and oldest not-for-profit association serving more than 15,700 corporate members of the $23.3 billion promotional products industry, which is comprised of more than 40,500 businesses and a workforce of more than 500,000 professionals. PPAI represents the industry in Washington, D.C. and advocates on its behalf. PPAI operates The PPAI Expo, the industry’s largest trade show; provides the leading promotional products safety and compliance program; offers a prestigious professional development and certification program; and publishes industry trade journals and periodicals. The multibillion-dollar industry includes wearables, writing instruments, calendars, drinkware and many other items, usually imprinted with a company’s name, logo or message. For more information, visit PPAI.org and follow us on Twitter @PPAI_HQ, Facebook, Instagram, YouTube and Pinterest. 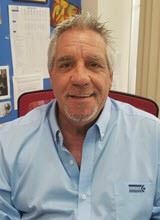 Michael Bistocchi, a 25-year veteran of the promotional products industry and Western Regional Sales Manager for Inkcups Corporation, has been elected President of the foundation for SAAC; Bistocchi succeeds Beverly Walter of Brown and Bigelow. The foundation is the fund-raising arm of the Specialty Advertising Association of California. "It is an honor and privilege to serve the industry in this capacity. Michael Bistocchi can be reached at michael@inkcups.com. “We are so excited about this group of professionals joining the SAAC Board. Each of them brings a unique perspective vital to our membership. I am looking forward to working with each of them to be sure SAAC continues to be the leading regional association for the future of the promotional products industry,” says 2019 SAAC President, Rhett Todd. Please be on the lookout for details about the 2019 SAAC Board Installation Dinner. Members will be invited to meet the new Board members and officers as we kick off a great year ahead. The Specialty Advertising Association of California is a 501 (c)(6) non-profit organization composed largely of promotional products professionals located in the Southern California region.